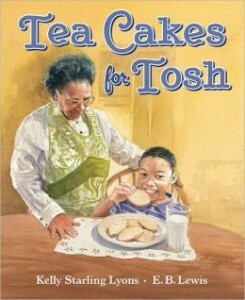 AAUW of North Carolina is pleased to announce the winner of the 2013 Juvenile Literature Award: Kelly Starling Lyons for Tea Cakes for Tosh. For 60 years, the North Carolina Literary and Historical Society has administered this award to a North Carolinian for the best example of juvenile literature published in the previous year. AAUW NC President Mary Peterson presented the award to Ms. Lyons in November. Each branch attending the meeting will receive one copy to take back to their public library. Ms. Lyons will join us for part of the meeting and will be available to sign books.